System supplier undertakes production of exterior mirrors for three successful models of a Southern European utility vehicle manufacturer. Wolfenbüttel, December 12, 2016 – Ficosa International GmbH recently received an important order to produce mirrors for three volume models for a well-known utility vehicle manufacturer. Ficosa will provide the front mirrors of the field of view class VI and the smaller close-proximity mirror of the field of view class V, also known as a ramp mirror. 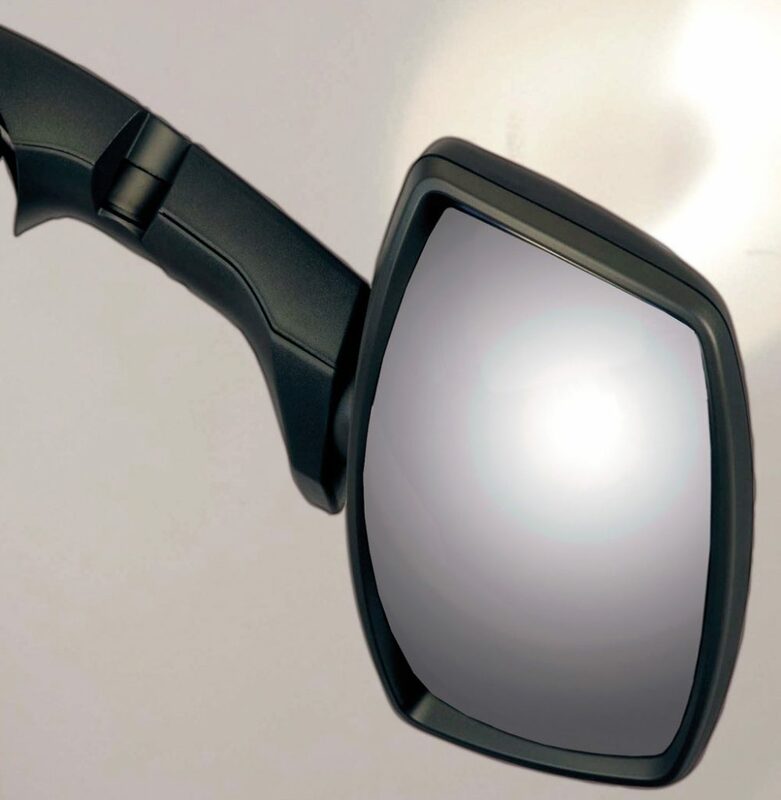 Furthermore, Ficosa won the follow-up order thanks to an optimum price-performance relationship of the mirrors, which also will offer an extended field of vision for drivers according to the general conditions required by law. “We are delighted with the new contract because, above seeking for new clients, as a worldwide partner and system supplier for the utility vehicle and automotive industry, our mission is to maintain our current customers highly satisfied”, observes Jörn Klingemann, Managing Director of Ficosa International GmbH. “The current follow-up order is an important confirmation of our high quality products, quick availability of the mirror systems and competitive prices”. The innovative mirror systems developed by Ficosa prove that modern design, a high level of safety and maximum ease of use can be perfectly combined. The front mirror of the field of vision class VI and the close-proximity mirrors of the field of vision class V are being developed in Wolfenbüttel. The central development system for utility vehicles and the German production centre for the entire Ficosa group are based in Lower Saxony (Germany). Ficosa International GmbH in Wolfenbüttel develops, produces and distributes rear-mirror systems for medium-heavy trucks, buses, trams, agricultural and construction vehicles as well as for vans and off-road vehicles. The central development center for commercial vehicles and the German production center of the Ficosa Group are based in Lower Saxony. The company employs a total of 243 in Germany. Further information is available at www.ficosa.de. Ficosa is a global company devoted to the creation of high-technology vision, safety, efficiency and connectivity solutions for the industry, with the desire to contribute to society through our commitment to technological innovation, human values and energy efficiency. Founded in 1949 and based in Barcelona, Ficosa currently has more than 9,700 employees in 18 countries worldwide in Europe, North and South America and Asia, with consolidated sales of 1.112 billion euros in 2015. The rear view system (interior/side mirror) is Ficosa’s main business, known worldwide and recognized by top global OEMs. For more information, visit www.ficosa.com.